Netanyahu cited what he said were Turkey’s crimes: “Someone who occupies northern Cyprus, invades the Kurdish regions, and slaughters civilians in Afrin — should not preach to us about values and ethics,” Netanyahu said. Turkey invaded areas of northern Cypus in 1974 and later annexed the territory in a move not recognized by any other country. In January this year, Turkey launched an air and ground offensive in the enclave of Afrin in Syria to root out the Kurdish People’s Protection Units (YPG), which Turkey brands a terrorist group, but which is seen by the United States as a key player in the fight against Islamic State jihadists. The UN has said that 170,000 people have fled Afrin in the wake of the Turkish offensive. Dozens of civilians have been killed. 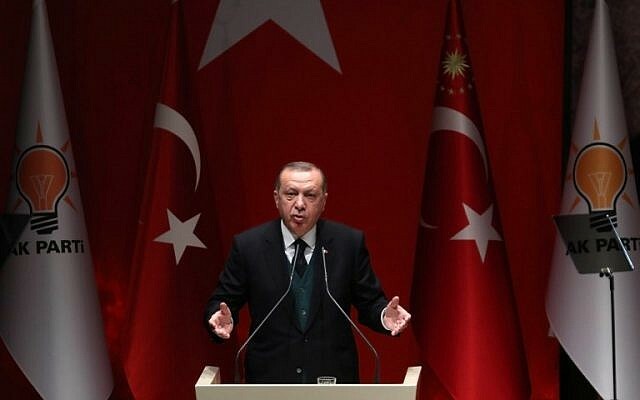 Netanyahu earlier Sunday lashed out at Turkey in response to its president’s claim that Israel had mounted an “inhumane attack” on Palestinians during Friday’s mass protests on the border with Israel. 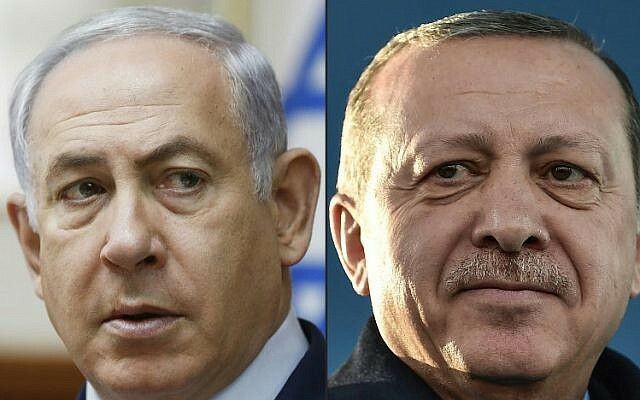 “That’s apparently how Ankara marks [April Fool’s Day],” Netanyahu tweeted in Hebrew, of the Turkish condemnation. The Israel Defense Forces said Saturday that at least 10 of those killed — the Gazans reported a death toll of 15 — were members of Palestinian terror groups, including Hamas. 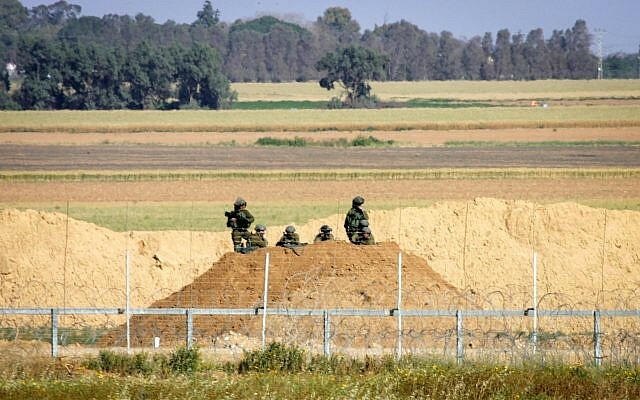 IDF spokesman Ronen Manelis said Friday that the military faced “a violent, terrorist demonstration at six points” along the fence. 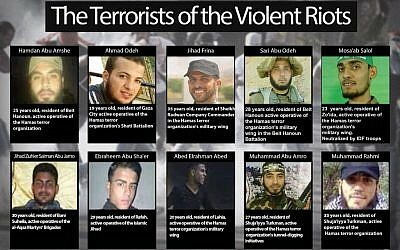 As of Saturday evening, Hamas, a terrorist group that openly seeks to destroy Israel, itself acknowledged that five of the dead in the so-called “March of Return” were its own gunmen. 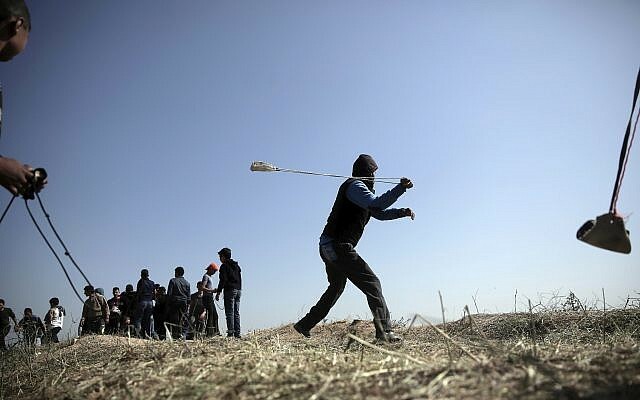 The IDF said that its sharpshooters targeted only those taking explicit violent action against Israeli troops or trying to break through or damage the security fence.